Nate Kendrick, a venture capitalist in Seattle, refuses to feel guilty when business requires him to bail out on a promise to chaperone a field trip for his seven-year-old daughter, Molly. But when a man dies saving Milly from drowning in a nearby river, Nate is troubled by the guilt he feels and by his concern for the man’s widow and two young children who are struggling financially. His offer to help is met with the widow’s scornful rejection of “blood money.” There seems to be little that Nate can do. Anna Grainger has been a stay-at-home mom to seven-year-old Josh and four-year-old Jenna, and except for an occasional worrisome thought, has left family finances in her husband’s hands. But when Kyle drowns while rescuing one of Josh’s classmates, Anna discovers the depth of his fiscal irresponsibility. Kyle cashed in his life insurance and his retirement fund, leaving his family almost destitute. Forced to sell her home for barely enough to pay off the mortgage and pay the real estate agent’s reduced commission, Anna is looking at the possibility of being homeless. When Nate’s ex-wife, Sonja, passes out in a drunken stupor, leaving Molly terrified and vulnerable, Nate insists Sonja enter rehab. Faced with the necessity of finding someone to care for his daughter for whom he now has full custody, Nate sees a way to solve two problems. He offers Anna a job that includes the vacant apartment intended for a housekeeper. Desperate, Anna reluctantly accepts. As the two families integrate, Anna comes to love Molly and, more gradually, to appreciate that Nate is not the man she had imagined him to be. The more she sees him as a devoted father whose nurturing extends to her children as well as his own child and as a man whom she finds uncomfortably appealing physically, the more difficult she finds it to cling to her prejudices. Nate has been attracted to Anna from the beginning, but he knows their history complicates things. Can Anna move past her grief and the guilt her feelings for Nate evoke and allow Nate into her life and into her heart? 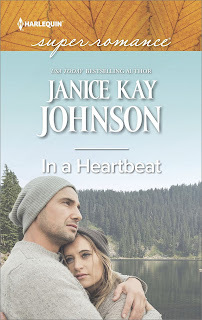 In a Heartbeat is Janice Kay Johnson’s final Superromance. The imprint is being phased out by Harlequin. I’m sad to see this. HSR has long been my favorite category line, and Johnson has been a favorite author since the mid-1990s. She has written more than seventy HSRs, and I have read most of them. I love her richly developed, believable characters and the emotional punch her stories pack. Johnson will be writing for Harlequin’s Intrigue imprint now. Given her skill with romantic suspense, that should be a good fit, but I will miss the contemporary romances that focused on family relationships with their myriad complexities. I’m glad this last HSR is one of those books. It looks at loss and forgiveness and second chances in a story that makes me care about the characters and sigh with contentment when they reach a happy resolution to their conflicts. If you too enjoy this kind of story, I recommend In a Heartbeat. Single father and corporate president Liam Mercer has astonished his family and friends with his transformation to devoted dad since the birth of Alexander West Mercer six months ago. Young Alexander’s mother, a former girlfriend of Liam’s, died when Alexander was born, but Liam has surrounded his son with love and attention along with all the privileges of being born a Mercer. 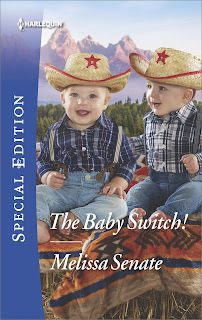 Then one day Liam receives a phone call from the Wedlock Creek Clinic where his son was born. The clinic administrator requests that he come in and bring his lawyer. Shelby Ingalls, owner of Treasures, a second-hand shop, is also a single parent. Her former husband, a rodeo cowboy, left town with another woman as soon as he learned Shelby was pregnant. Six-month-old Shane is the light of Shelby’s life and is adored by her colorful extended family. 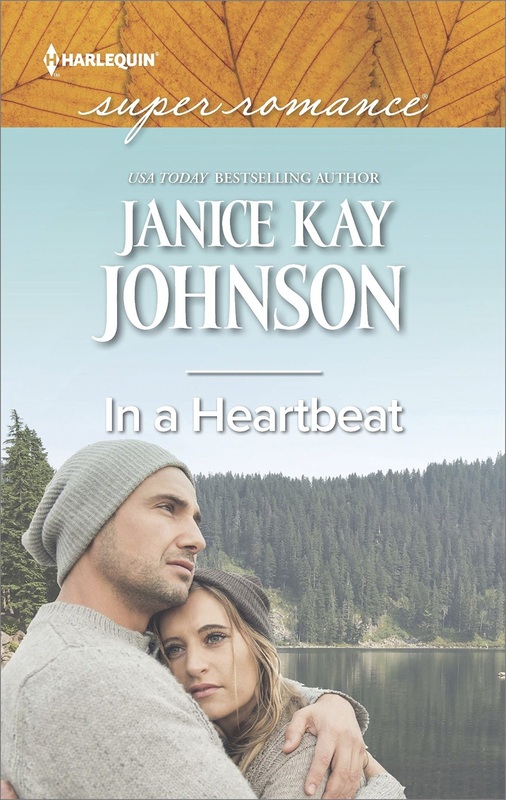 When the Wedlock Creek Clinic calls asking her to come in with her lawyer, she fears there was more to Shane’s recent virus than she was first told. The blood work that stemmed from that virus did reveal something startling, but it is not anything that Shelby would ever have imagined. The clinic administrator informs Shelby that Shane cannot be her biological son. There is a very real possibility that the two male infants born minutes apart during a November snowstorm six months earlier were identified incorrectly and sent home with the wrong parent. Neither Shelby nor Liam can bear the thought of losing the child they love, but neither can they bear not claiming the child that may be their own. Liam proposes a marriage of convenience that will allow both of them access to both babies, but that convenient marriage may prove most inconvenient for their wary hearts. Senate introduces her Wyoming Multiples with this sweet story that may be far-fetched but is just close enough to possible to keep the reader believing. Liam and Shelby are appealing in their vulnerability and maturity. There is also a mystery thread that involves a family secret. It seemed rather contrived to me, and it didn’t make me more sympathetic to Liam’s father. The man’s behavior toward Alexander made me want to kick him. Nevertheless, likable protagonists keep this one entertaining, especially for readers who like romance with babies added to the mix. 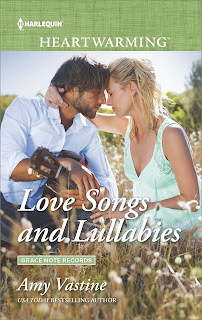 Piper Starling, platinum selling country music star, is poised to be the next crossover sensation, but she gets a big surprise when she visits a Nashville emergency room to have a twisted ankle checked out and receives a bonus diagnosis—she is pregnant. The father-to-be is Sawyer Stratton, a new artist whose first album has just been released. Piper and Sawyer worked together writing songs, and things briefly took a turn toward the passionate. But two months ago, they decided the relationship was bad for their careers and broke things off before anyone else realized they were together. When their families are informed about the pregnancy, everyone has an opinion about what Piper and Sawyer should do—marry or not marry, tour together or tour separately. Piper’s father/manager is convinced a pregnancy before a wedding will destroy her good-girl image in the eyes of her conservative country base and thus seriously damage her career. Piper trusts her father, and she is overwhelmingly conscious that her career supports a lot of people, including her brother and his enormous medical bills. Sawyer is only certain he is not in love with Piper. He wants to be a father to his child, but he is adamantly opposed to marrying without love, having lived with the consequences of his parents’ example. His sister supports his decision. Eventually, all parties more or less agree that a fake engagement is the best solution. However, the plan sounds simpler than it proves to be; it just leads to more complications. Will Piper and Sawyer ever cut through the walls and pretenses and be honest with themselves and with each other about their feelings. This is the third book in Vastine’s Grace Notes Records series, after The Girl He Used to Love and Catch a Fallen Star. It is obvious that Piper and Sawyer have a history, and I think their history must be a thread in the first book. Missing that connection, I found myself impatient with all the drama and the family interference in the lives of the lead couple. They are twenty-five, but much of the reaction would have seemed more appropriate had they been a decade younger. I also felt that much of the tension could have been resolved with one honest conversation between the two people most directly involved. They all look good, I always like Janice Kay Johnson. I'm sorry to see the Superromance series go away. I really enjoy so many of the books. Thanks for the reviews Janga. Thanks, Janga. I'm sad about the HSR line ending. I love JKJ too but I have a really hard time with romantic suspense. It's just not my thing. I've tried it for JKJ. LOL I've read a few of the books in her Angel Butte series and they were good. I just have to force myself to read them. I think I'm getting squeemish in my old age!